For every taste, there’s a flavour. Great whisky isn’t made overnight. It is the result of choices made over time by a dedicated team who rely on each other’s expertise. Whether you like it on the rocks or in a mix, watching the fire or watching the game, J.P. Wiser got a whisky for you! Using bigDAWGS’ Musical Greeting Cards, everyone at JP Wiser extends their warmest greetings this holiday season. 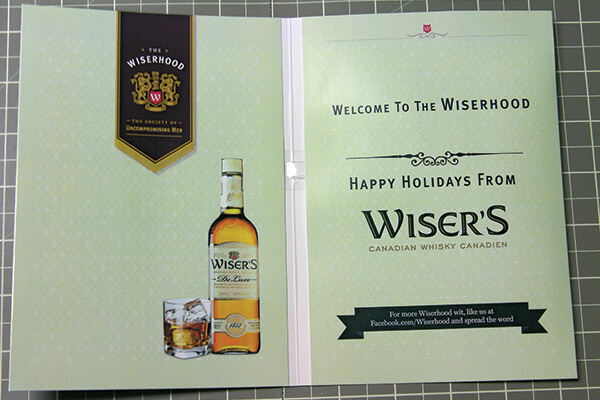 Welcome to Wiserhood and cheers to the most wonderful time of the year!